Tracy Mulholland in a scene from her short film Grace Note, a true story about a recurring dream she had while battling undiagnosed Lyme disease. For 2½ years, beginning in 2011, Tracy Mulholland's life, including her acting career, hit a bumpy road. She had fatigue, pain and, to top it all off, was misdiagnosed time and time again - trips to 50-some doctors, in fact - before it was finally discovered she was suffering from Lyme disease. Then came the process of treating the disease, which was another two-year, health-relatedÃÂ roller coaster ride for a 20-something-year-old actor whose career became temporarily derailed. Knowing Lyme disease had gone untreated for so long, Ms Mulholland, in her 20s and living in Los Angeles when she got sick, said she expected to be in for a tough recovery process. "I knew it would be a hard road and I was prepared for it," the Newtown native toldÃÂ The Newtown Bee, adding that she welcomed any progress and was not discouraged when things were not going well. "It might sound pessimistic, but I think it helped me get through the ups and downs better. That's kind of a lesson in acting, too." Ms Mulholland, who continues to live in L.A., knows all about the seesaw life of anÃÂ actor. In addition to being an actor, sheÃÂ is aÃÂ writer and producer who has already experienced many ups and downs in her years in the business. Throughout Ms Mulholland's acting career, not unlike the pursuits of other thespians, there were rejections and scenes being cut or scaled back. Ms Mulholland, in fact, was about to start pilot when Lyme disease thwarted that plan. "You get really, really excited and then things ebb and flow," she said of an acting career. An actor must find her inner balance to overcome adversity, according to Ms Mulholland, and that also held true in her recovery from Lyme. Ms Mulholland combined her terrible experience with Lyme with her career and produced and acted in an approximately ten-minute short entitledÃÂ Grace Note, which played at film festivals for the past year, premiering at Carmel International Film Festival. View the film at gracenotefilm.com or visit the film's Facebook page. In the film, Ms Mulholland acts out what she went through, a recurring dream she had almost every night during two perplexing, frustrating years while battling Lyme. The film, like others created by people in the industry, is a way for Ms Mulholland to get her writing, acting, and producing skills noticed. But this one also serves another purpose, which is to bring awareness to the lack of proper diagnosis and treatment for Lyme. In the dream, Ms Mulholland looked for a former classmate whom she saw every day during band practice in high school while leading the band in musicals. She would see the classmate, despite something making it difficult to do so, in each dream. Then she would wake up and go through her difficult daily routine of taking medications, and relying on her sister, who traveled from Washington, DC, to theÃÂ West CoastÃÂ to take care of her, including washing and combing her hair, and even cutting her food. The pain in Ms Mulholland's arms got so bad it hurt to brush her teeth. "My arms were in so much pain that it hurt to merely lift them or turn a doorknob," Ms Mulholland added. "My subconscious was trying to tell me I felt so out of control with my body and with my life. I was going back to a time in my life when I had control over something," she said of the recurring dream's correlation to leading the band and reason for this dream. The film, for which Ms Mulholland raised money to make a reality, also stars Yael Grobglas (Petra fromÃÂ Jane the Virgin), and is directed by Alex Gayner, who has worked on more than 75 films. At the end of the film, some Lyme disease statistics appear on the screen.ÃÂ Bay Area Lyme Foundation worked with Ms Mulholland to provide facts in an effort to help shed light on Lyme disease. The information listed includes that the Centers for Disease Control and Prevention estimates 329,000 new cases of Lyme each year in the United States, that approximately one million people are living with long-term symptoms, and that cases have been reported in every state and continent. "The current standard for testing Lyme results in false negatives 60 percent of the time, leaving thousands undiagnosed, misdiagnosed, and treated too late," is posted on the screen at the end of the film. "I was literally told 'maybe you're stressed,'" she said of feedback from doctors who could not pinpoint what was going on. The website lymedisease.org features an article about Ms Mulholland, and a link to the film is posted underneath the writeup. Bay Area Lyme Foundation (bayarealyme.org) shared the film with its social media community and, Ms Mulholland said, is expected to post the film on its website soon. Ms Mulholland says there is a misconception in California and other states that Lyme can only be picked up in Connecticut, and she is hopeful her film will help raise some awareness about the disease. In what Ms Mulholland selflessly refers to as a silver lining, her sister met her husband while in California. Kara Niland and her husband now live in Virginia. 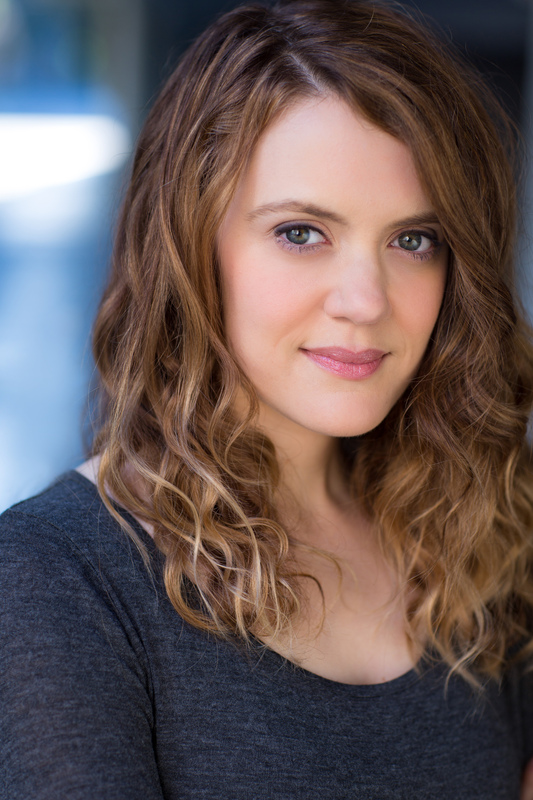 Ms Mulholland grew up in Connecticut and studied musical theater and business at Northwestern University. She started her career in production and acquisitions at Lionsgate before turning focus to acting and writing. She has appeared in 18 movies, films, and television series, including the movie Crazy, Stupid, Love and TV series Gortimer Gibbon's Life on Normal Street. Her most recent film short is Fifteen Years Later. She writes a cross between drama and comedy - "dramedy" - and has produced four films. Among Ms Mulholland's fond memories from her still young career is her first paid gig, which came when she acted in a play in Yosemite, Calif. Although a bulk of her work unfolds in Hollywood/ L.A., there is travel and exploring different cities involved with this business, something that drew Ms Mulholland to acting. Being a part of a production with talented actors, camera people, directors, producers, and writers is a thrill for Ms Mulholland. "I just love being in that whirlwind of talent," she said. A Newtown High School alum, she was raised in Newtown. Her dad, Bob Mulholland, is a longstanding member (and current chair) of the town's Planning & Zoning Commission. Her mother, Linda Dale Mulholland, taught eighth grade math at Newtown Middle School for 20 years. Her brother Seamus is the oldest of Bob and Linda Dale's children, and lives in Brooklyn, N.Y.
Ms Mulholland began taking dance lessons at the age of 3, and played saxophone starting in fifth grade at Sandy Hook Elementary School. She performed in the high school marching band and was in the pit percussion and eventually the drum major. Ms Mulholland was also a singer in chorus and leads in the high school musicals. She actually began her career as an eighth grader, acting in high school performances. Ms Mulholland still has an elementary school class project in which students were asked what they wanted to be when they grew up. "I wrote Bette Midler," recalls Ms Mulholland, noting that there was a brief time as a child that she considered astronomy before delving into work on stage and set. In her free time, Ms Mulholland enjoys crafts, including making holiday cards for family and friends, she sings jazz, and writes songs for fun. Her battle with Lyme and the recovery process has led to an interest in alternative healing and organic foods. As her career continues to unfold, Ms Mulholland aspires to produce, write, and act in a TV series or film. IncludingÃÂ Grace Note, the actor/writer/producer is striving to not only get recognized for her talents, but also have a positive impact on people. "I want to create content and stories that inspire and educate people," Ms Mulholland said. Like her battle with Lyme, acting is a struggle, especially as someone tries to break into the career. Ms Mulholland bought and returned costumes and set design for the first two film shorts she produced since there was no budget. "It's a hard career," Ms Mulholland said. "There's a very small percentage of people in arts who know where their next paycheck is coming from." Actors might get a phone call at 11 pm to be on a set the next morning at 5 am, she said. Ms Mulholland has established herself more and more, but initially took on numerous odd jobs to help make ends meet: Working as personal assistant to an actress, as well as dog, baby, and house sitting, for example. She still picks up freelance writing side jobs. All of the sacrifice is worth it when she is acting in front of a camera. "It feels like nothing else," Ms Mulholland said. "It invigorates me." For more information about Ms Mulholland, including the films and series she has been a part of, visit imdb.me/tracymulholland.